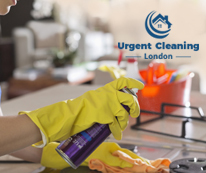 Have you made up your mind to use a spring cleaning service in London? We recommend you turn to our company. We have what it takes. Our reputation is positive and customers can count on us at all times. Our spring cleaning service is designed for homes and offices. We clean in detail all the surfaces on the premises using special cleaning products and advanced machines. As for our working hours, we operate from Monday to Sunday and we can come to clean your home any day. If you are willing to hire our company, you can call us right away. Don’t miss the chance. 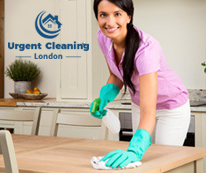 We are a certified company that offers professional spring cleaning services in London. Hiring us, you get the best cleaners and the most powerful cleaning equipment, all in one. We will get the job done to your satisfaction, we promise. Many surfaces in the house don’t get the cleaning they deserve. More often that not skirting boards, sides of cabinets, lampshades, light switches, tops of cabinets, window frames, picture frames, knick-knacks and corners don’t get to be cleaned at all. It’s very easy to forget about them. But our spring cleaning service in London is going to take care of this if you take advantage of our offer. We realise how much you want to be surrounded by clean furnishings and surfaces and our service aims at sanitising all your stuff, even those areas you can’t reach. Imagine how it would feel if your ceiling lamps and fans get cleaned, if we clean under the beds and furniture, if we remove all your cobwebs and get rid of all stains, even on your carpets. We can do that. All you need to do is let us get the job done. If you would like to have a word with one of our operators, dial our number. You can use it 24/7. We can assure you it’s worthwhile. Make an appointment today and let us handle your cleaning issues. Copyright © 2019 Urgent Cleaning London. All Rights Reserved.